Coffee Connect is the perfect way to build your professional network, promote your business, or generate buzz about an upcoming event! Each attendee will have the chance to get up and address the group. 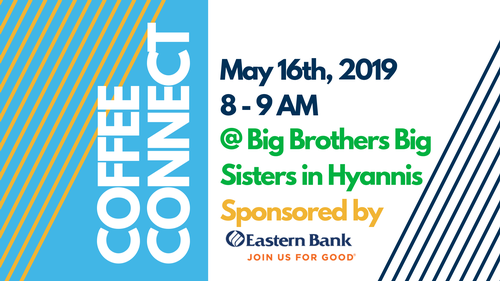 Our May Coffee Connect is hosted by Big Brothers Big Sisters of Cape Cod. Thank you to our generous sponsor, Eastern Bank!